Explore the vast environmental and mechanical benefits of harnessing wind power as energy with this complete curriculum guidebook. 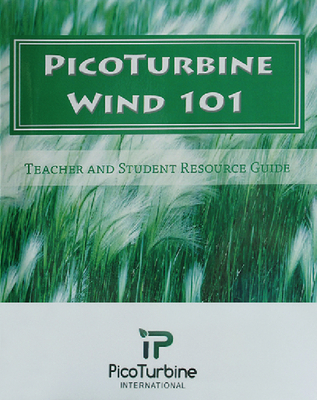 Designed for students in grades five through middle school, this lesson guide is aligned with National Science Education standards and contains over 15 hours of wind energy instruction with easy to follow outlines for teachers, home school programs, and parents alike. A full-color cover and interior booklet gives students a fun and informative hands-on learning experience, resulting in a greater understanding of modern technology and the energy field. Instructors will enjoy the included Teacher Resource guide with options for lesson pacing and variety, as well as supplementary notes and activities for differentiated instruction. Let students independently check their work using the worksheet answer key provided in the Student Edition.